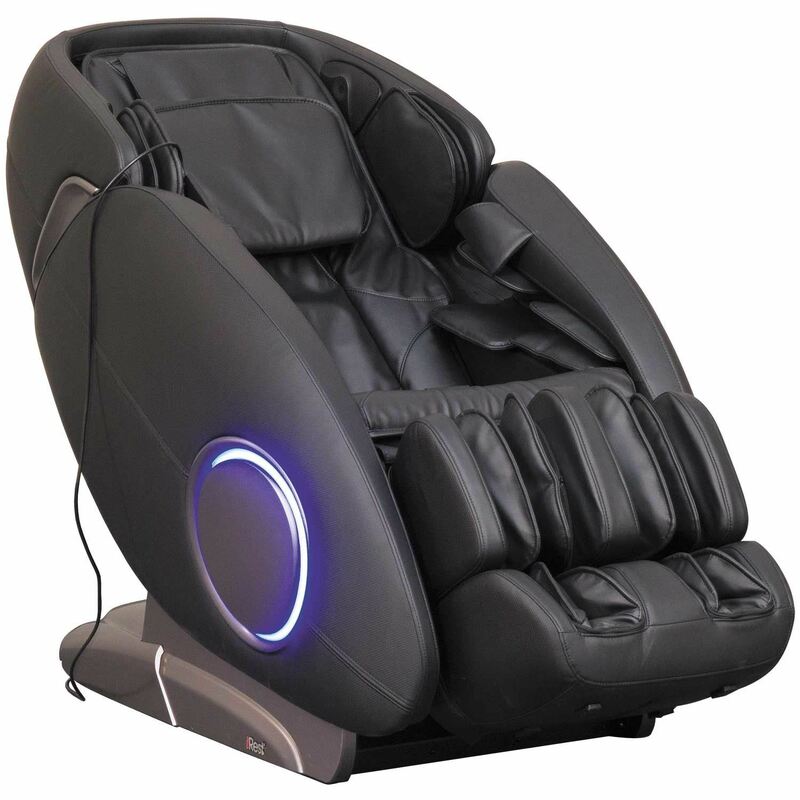 Black Massage Chair with Bluetooth Technology from iRest. Features heat and simulated massage techniques including kneading, tapping, shiatsu massage, knocking and roller massage function for foot massage. Includes 5 speed levels and 3 levels of width adjustment to fit your body shape. Features 3 modes and 3 levels of intensity of air pressure massage function in the arms, legs, and complete body. 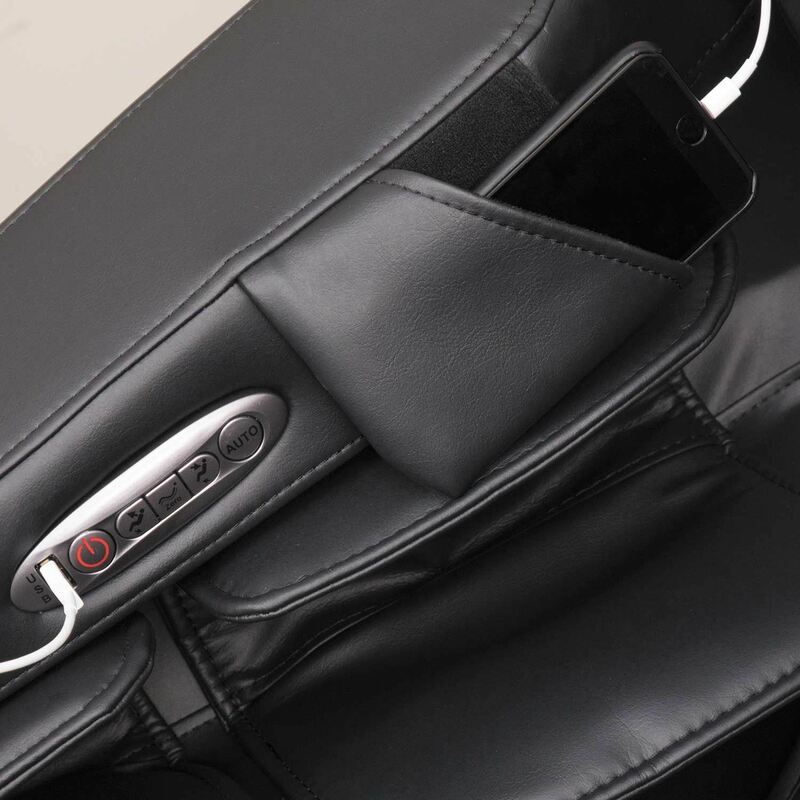 And speakers on each side of chair with Bluetooth connectivity for listening pleasure.